Stay healthy and safe while you travel! Start a wellness conversation with your doctor early on: discuss anything that could be a risk factor based on your personal health history when you travel. If you have regular prescription medication, either bring enough to cover you while abroad (plus a bit extra in a separate bag), or consult your doctor and travel insurance provider about whether you will be able to refill it abroad. Carry it with the original prescription documentation. Know whether there are recommended or required vaccinations where you'll be going. You can find information by country at the Center for Disease Control website. All of our participants are required to travel with international accident and sickness insurance. Even though you probably have health insurance at home, it most likely doesn't cover things like emergency evacuation and repatriation, so ask your provider for a summary of international coverage before assuming you have what you need. Most participants will need to purchase supplemental travel medical coverage. Please note that travel medical insurance may not cover any pre-existing conditions, so make sure you have a plan in place for addressing any ongoing concerns. Other exclusions can include certain types of activities (for example, high altitude hiking or diving) so make sure you obtain coverage that includes the kinds of activities you plan to do. 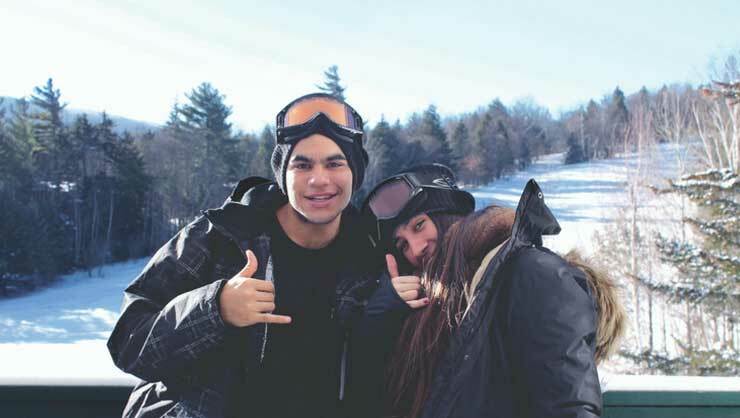 Adventure sports, such as snowboarding, are usually considered "extra" in insurance plans, so check! In addition to covering you for any health issues that may arise while traveling, travel insurance often covers things like lost baggage and trip delays/cancellations. The lack of sleep that comes with traveling long-distances into different time zones can take a serious toll on your immune system. Many people get sick right after they fly! Avoid this by staying rested and catching whatever sleep you can on the plane. Don't put off drinking water until you're already really thirsty (which often happens in transit). Water should always be available during any part of your flight. If traveling to destinations where water safety is a concern, know where the safe water sources are and consider using a refillable bottle. Pack comfortable, weather appropriate shoes and a first aid kit including band-aids, pain reliever/fever reducer, allergy medicine, sunblock and bug spray. Before you travel, write down and store the name, telephone number and address of where you are staying. If you experience any delays while traveling, you will need to know whom to contact and how. Also record numbers for local emergency services, and all contact information for your program operator (including its 24-hour emergency number). It's usually a good idea to travel with copies of important documents, including your passport, visa, insurance information, the address where you are staying, itinerary, and emergency contacts. These documents may not be needed every day, but it's best to have them easily accessible when you do need them. While you should have some local currency with you for immediate expenses, including right after your arrival, it's never a good idea to carry large amounts of cash with you. Consider separating the cash you do have into two places. Also make sure you understand the exchange rate where you will be traveling. Fortunately, ATMs are usually easy to come by, even for withdrawing foreign currency with a U.S. bank card (although there may be a fee to do this). Contact your bank before you travel to let them know where you'll be traveling abroad. They may have information about using your cards in your destination and can tell you about any partner banks, ATM locations, and even information about known frauds or scams. There are many credit cards with zero foreign transaction fees, so it's not a bad idea to have one on hand as an alternative to cash. Again, make sure you speak with the credit card company and inform them of your travel plans so they can alert you to any considerations pertaining to your situation. Even experienced travelers become anxious for many reasons. Trip delays, lack of sleep, language barriers and cultural differences are all anxiety inducing and it's important to know how these things might affect you before you go, whether or not you've experienced mental health concerns in the past. 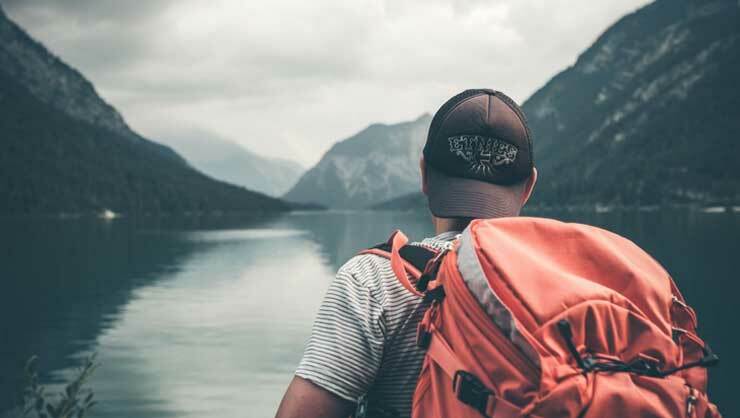 If you're thinking of your adventure abroad as a chance to heal or recover from a trauma or illness, think again, as travel could instead cause a relapse of a previous issue. Consult a specialist to come up with a wellness plan before you go. This should attend to any previous nervous conditions, as well as your upcoming travel circumstances. We usually think of travel as something new, fresh, and different, perhaps a break from the past, but it's just as important to have a routine of some kind when you travel, for your own mental wellness. You don't have to outline every minute of your trip, but it's a good idea to establish a basic routine attending to physical activity, sleep, eating, and other general concerns around well being. Make sure you have international accident and sickness insurance. Locate the nearest medical facilities in advance, in case an emergency arises. Also before traveling, establish a communication plan with your parents or other contacts at home. Let them know when you've arrived safely at your final destination to save them any anxiety. To be fully present in the local experience, you may want to establish set times to check in with parents and loved ones. If you are the victim of a crime, seek medical attention immediately if required. Make sure you report the crime and obtain a copy of the police report, which might be necessary for insurance purposes. Please take note of the U.S. Department of State emergency services for overseas citizens. By enrolling in the U.S. Department of State Bureau of Consular Affairs' Smart Traveler Enrollment Program (STEP), you can receive important information from the embassy about safety conditions in your destination country, and enrollment makes it easier for U.S. Embassies, friends, and family to contact you in the event of an emergency. If you travel frequently, you may want to create an account to save time when you register future trips. The Bureau of Consular Affairs provides this traveler's checklist with additional considerations as you prepare to travel. Have questions or concerns regarding your safety or the safety of your child abroad? Feel free to call us at 917.305.5401 and we’ll be happy to speak with you.